The son of a pastor, Nathan George was born and raised in Murphysboro, Illinois. He attended Southern Illinois University where he majored in aviation and completed his seminary degree at Sangre De Cristo Seminary in Westcliffe, Colorado. Following seminary and a pastoral internship, Nathan toured the United States as a musician and served the church as an elder and pastor. 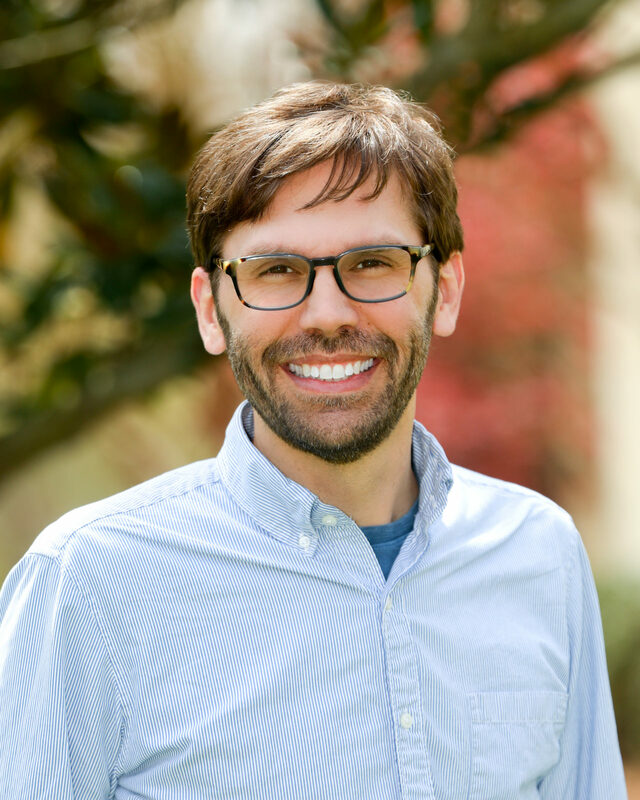 He was ordained by the Nashville Presbytery and served at Parish Presbyterian Church in Franklinville, Tennessee before joining the staff at Christ Covenant. Nathan credits his love of music to the influence of growing up around the hymns of the church and his parents’ willingness to let him play his favorite Mozart clarinet concerto over and over and over. Not surprisingly, he worked as a technician and teacher in a local guitar shop in Carbondale until it was time to move to Colorado for seminary. The George family, including wife Patsy and their six children: Jonathan, Elaine, Elliot, AnnaMargaret, Matthias, and Elsa, traveled together in their RV enjoying life together as they took advantage of a unique home school opportunity.